What is Chirped Pulse Amplification, and why is it important enough to warrant a Nobel Prize? The 2018 Nobel Prize in Physics was awarded recently, with half going to Arthur Ashkin for his work on optical tweezers and half going to Gérard Mourou and Donna Strickland for developing a technique called "Chirped Pulse Amplification". What is Chirped Pulse Amplification? What is the core of the method that really makes it tick? What pre-existing problems did its introduction solve? What technologies does it enable, and what research fields have become possible because of it? Lasers do all sorts of cool things in research and in applications, and there are many good reasons for it, including their coherence, frequency stability, and controllability, but for some applications, the thing that really matters is raw power. As a simple example, it had long been understood that if the intensity of light gets high enough, then the assumption of linearity that underpins much of classical optics would break down, and nonlinear optical phenomena like second-harmonic generation would become available, getting light to do all sorts of interesting things. Using incoherent light sources, the required intensities are prohibitively high, but once the laser was invented, it took only one year until the first demonstration of second-harmonic generation, and a few short years after that until third-harmonic generation, a third-order nonlinear process that requires even higher intensities. Put another way, power matters, and the more intensity you have available, the wider a range of nonlinear optical phenomena will be open for exploration. Because of this, a large fraction of laser science has been focused on increasing the available intensities, generally using pulsed lasers to achieve this and with notable milestones being Q-switching and mode-locking. the intensity of the light will be higher in the center, which means that the refractive index will be higher in the center. In other words, the material's optical properties will look like those of a convex lens, and it will tend to focus the beam. ... which will then focus the beam even more tightly, leading to higher and higher intensities. 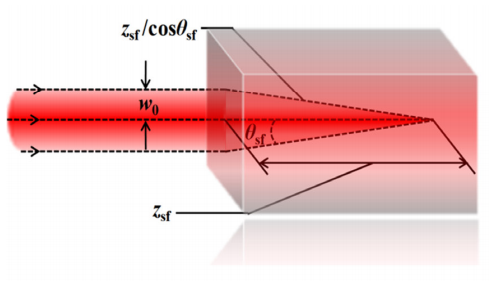 This represents the barrier of Kerr-lens self-focusing, and at the time the only way to overcome it was to build a laser which was physically bigger, to dilute the intensity over more gain medium to try to prevent the problem. Until, that is, Chirped Pulse Amplification came around to solve the problem. 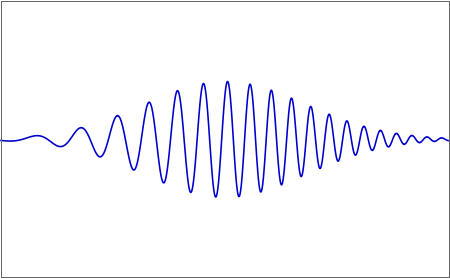 At its core, Chirped Pulse Amplification (CPA) works by diluting the light, so that it can be amplified to a larger total power without reaching a dangerous intensity, but it does this stretching in time, i.e. 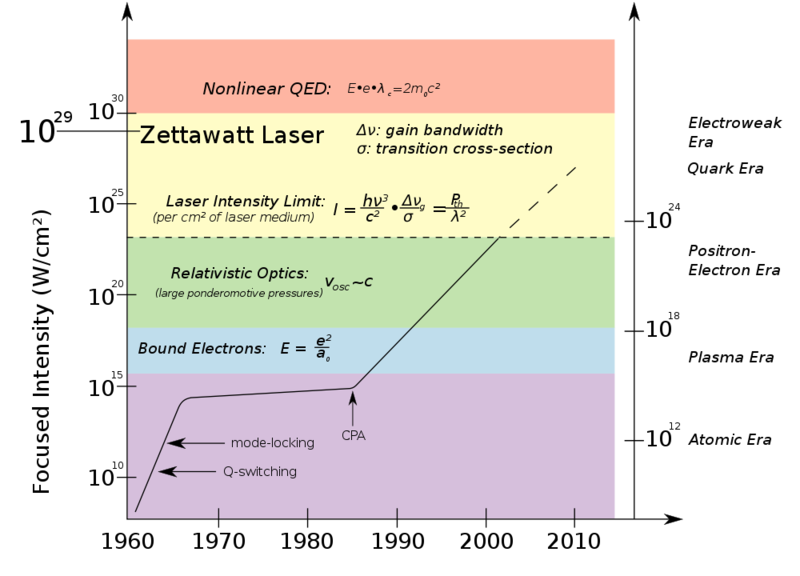 longitudinally along the laser pulse. You then stretch it in time, by introducing chirp into the signal: that is, you use some sort of dispersive element, like a prism or a diffraction grating, which decomposes the pulse into all of its constituent colors and sends the longer wavelengths first and the shorter wavelengths last. This will naturally reduce the intensity of the pulse. You then pass this lower-intensity pulse through your laser amplifier, which is safe because the instantaneous intensity is below the self-focusing damage threshold of your gain medium. ... but at the much higher amplified power, and at intensities which would be impossible to achieve safely using direct amplification of the pulse. 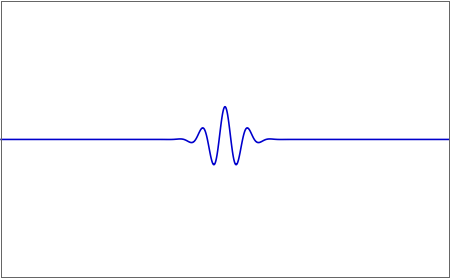 The core feature that makes the method tick is the fact that, when done correctly, the stretching of the pulse will completely conserve the coherence between the different frequency components, which means that it is fully reversible and when you add a cancelling chirp the pulse will go back to its initial shape. Furthermore, the method relies on the fact that stimulated emission will completely duplicate, in a coherent way, the photons that it is amplifying, which means that the photons that are introduced by the amplification will have the same frequency and phase characteristics as the initial pulse, which means that when you remove the chirp from the amplified pulse the added-in photons will also compress into a tight envelope. This isn't only 'more', it's qualitatively different: it pushes nonlinear optics to regimes where the usual perturbative expansion completely breaks down, and where it needs to be replaced with a completely new set of tools, which revolve around the so-called three-step model, and which involve a nice and quite particular new interface between classical and quantum mechanics, where trajectories do (sort of) exist but over complex-valued time and space, due to the presence of quantum tunnelling. It has also helped push the study of light-matter interaction past that same perturbative limit, giving us the tools to extract electrons from molecules and control them in very precise ways, thereby allowing for the creation of tools like e.g. laser-driven electron diffraction, which can be used to image the shapes of molecules as they undergo bending and other vibrations. CPA also underpins several breakthrough measurements which have been touched on previously on this site, including the observation of the time-dependent waveform of a light pulse, itself done using high-order harmonic radiation; the observation of charge oscillations when atoms are placed in excited states, again using HHG; or performing electron holography from an atomic target using electrons pulled from that same atom. Of course, all the cool laser-driven QED stuff at the top of that second diagram: if your laser is strong enough that, if you release an electron into the focus, the kinetic energy of its oscillations will exceed $m_e c^2$, then you can start to have things like laser-driven pair creation, and all sorts of fun stuff. Some of it is already on the table, some of it is in achievable plans for the future, and all of it is made possible by CPA. CPA is also extremely useful in delivering sharply controlled bursts of power to materials. This is extremely useful in laser micromachining, for example, where it is routinely used in e.g. using short laser pulses to etch waveguides into dielectrics, which are then extremely useful for chip-based quantum computation and quantum information processing. Similarly, the ability to deliver sharply controlled bursts of power is extremely useful in laser microsurgery, and there are several types of eye surgery that exclusively use CPA pulses to provide sharp 'kicks' of power which perform cleaner incisions. On a much larger scale, when you really turn up the power to the maximum, CPA is a vital component of laser wakefield acceleration, which uses the ionized pocket left behind by an intense laser pulse as it travels through a gas to accelerate electrons to energies that would otherwise require an extremely large particle accelerator, but which are now available using a much more modest table-top laser system. The Nobel Prize's scientific background and popular information documents make excellent reading, and people don't go looking at those sources anywhere near enough. Go check them out! The original paper: Compression of amplified chirped optical pulses. D. Strickland and G. Mourou. Optics Comms. 55, 447 (1985). What power limitations was chirped radar designed to overcome?, a previous question of mine on similar radar technologies that predated CPA. This is a nice tutorial on U Michigan. Sometimes lower-order nonlinear processes like second-harmonic generation are enough; you just need them done efficiently for practical purposes. Lasers based on chirped-pulse amplifiers, which have pulses with energy ~5 mJ and duration ~30 fs are the backbone of all but the simplest ultrafast pump-probe spectroscopic techniques. This is because such pulses allow for efficient low-order nonlinearities such as sum-frequency generation, optical parametric amplification, etc., which have greatly expanded the parameter space of these types of experiments. People are clever, and when given more than enough laser power to work with, they come up with increasingly more complex tricks to ferret out the truth. Without launching into a review of thousands of ultrafast spectroscopic research results, let it suffice to say that humanity knows a lot more about how the world operates on picosecond and sub-picosecond time scales (in fields as disparate as condensed matter physics and quantum biology) thanks to CPA-based lasers. Not the answer you're looking for? Browse other questions tagged optics electromagnetic-radiation laser dispersion chirp or ask your own question. Is there oscillating charge in a hydrogen atom? Have we directly observed the electric component to EM waves? Is quantum tunneling related to imaginary time? Is a GASER a theoretical possibility? What limits laser pulse duration to single cycle? 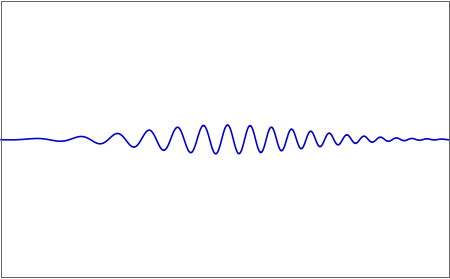 Why call it a particle and not a wave pulse? What is the theoretical maximum data transmission rate of an optical laser at 400nm and at 800nm, with optimal pulse width? Why is 2000 grit good enough for a mirror finish? Are non-zero-area pulses of electromagnetic radiation possible? What is the speed of laser pulse? 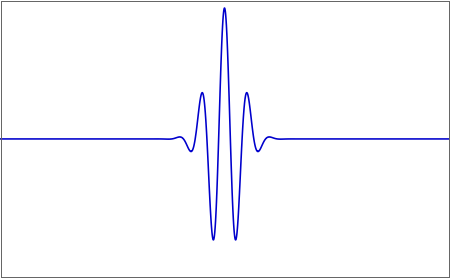 What is a “Fourier transform limited pulse”?